British Prudential, Japanese Dai-ichi Life, Hong Kong AIA, US Chubb and Canadian Manulife have been authorised to establish wholly-owned life insurance subsidiaries. They are expected to begin operating by the end of 2019, pending relevant requirements. The continued expansion and liberalisation of Myanmar’s life insurance sector is expected to bring significant benefits to the country, including job creation, inflow of quality foreign direct investment and the development of long-term capital markets"
The entry of multinational insurers with well established operations will bring a jolt of competition to a market consisting only of small local players. Dai-ichi forecasts the market to expand 100-fold to $1.3bn in 10 years. Japanese players Taiyo Life Insurance, Mitsui Sumitomo Insurance, Sompo Japan Nipponkoa Insurance and Tokio Marine & Nichido Fire Insurance are discussing terms with potential local partners. Thailand's Muang Thai Life Assurance and Thai Life Insurance are also in talks with potential partners. However, foreign investors have expressed frustration with multiple delays in the long promised liberalisation of Myanmar's almost entirely closed insurance market. "We are very grateful for the support we have received from the Myanmar government," said Prudential Corporation Asia CEO Nic Nicandrou in a statement regarding the development. "Prudential has been operating in the region for more than 95 years, serving the evolving needs of over 15 million customers. Through our representative office, which opened in 2013 and with this new licence, Myanmar will become our 13th life insurance market in Asia." 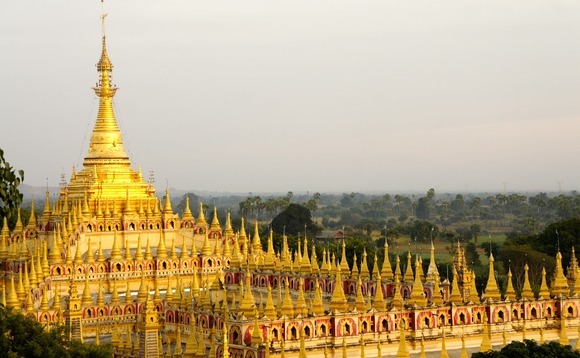 "The continued expansion and liberalisation of Myanmar's life insurance sector is expected to bring significant benefits to the country, including job creation, inflow of quality foreign direct investment and the development of long-term capital markets," he added. "By leveraging our extensive experience and strong track record in Asia, we are committed to playing a vital role in accelerating the Myanmar government's efforts to develop its country's financial services industry while serving the long-term protection and savings needs of its population." Since opening its representative office in Yangon in 2013, Prudential has worked closely with Myanmar's government in several activities to support the economic growth and welfare of the country and its communities. Myanmar's insurance penetration rate, or the ratio of insurance premiums to gross domestic product, is estimated at less than 0.1%. Even Vietnam, whose insurance market remains underdeveloped, has a higher rate of 2.1%, while Japan's comes in at 8.6%, according to the Swiss Re Institute.